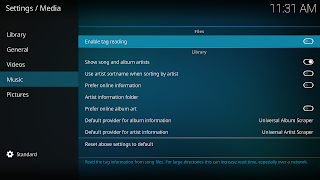 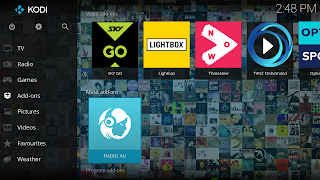 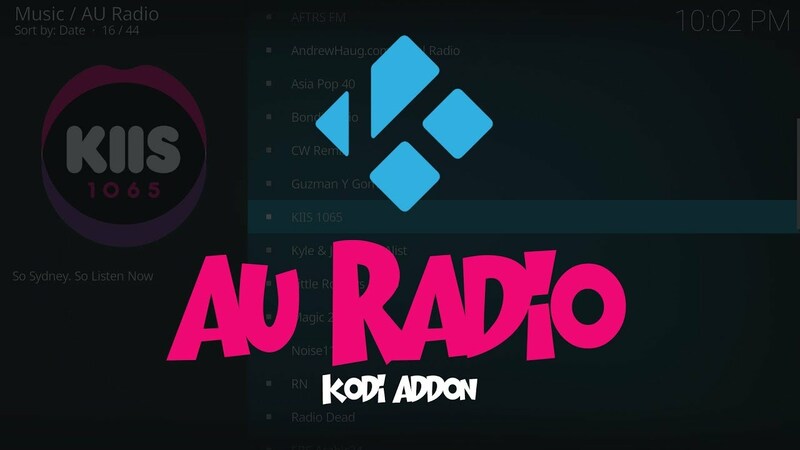 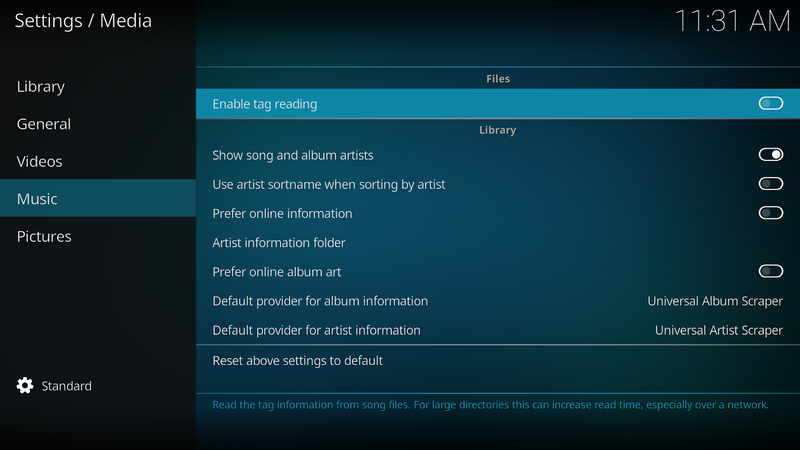 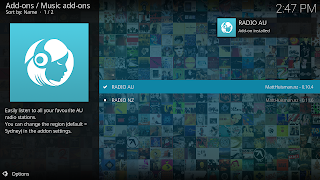 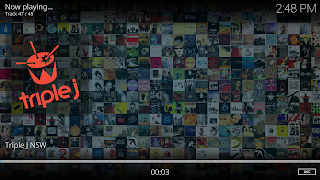 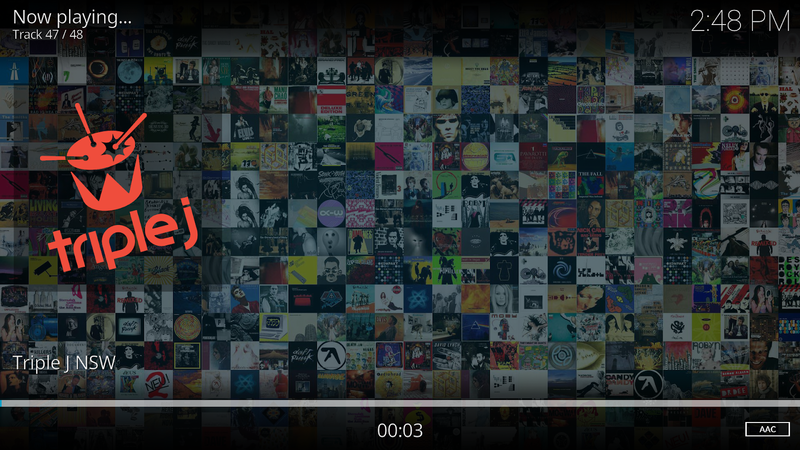 Select "Music add-ons" then "RADIO AU"
You can now access the add-on under the Add-ons section. 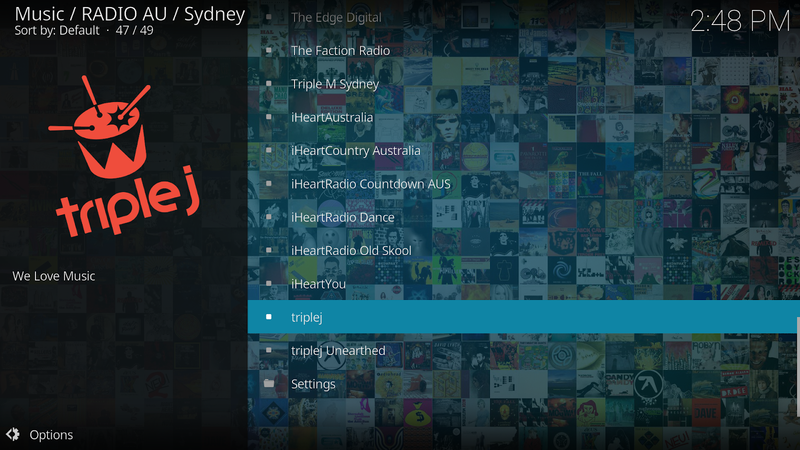 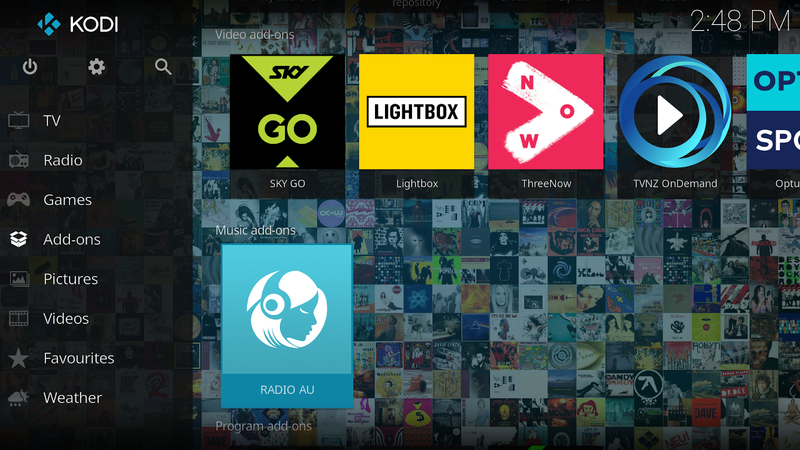 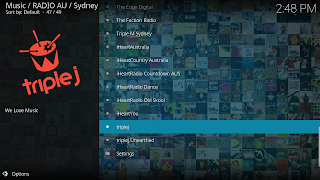 Click into the add-on and you can now navigate to your favourite Australia Radio stations. 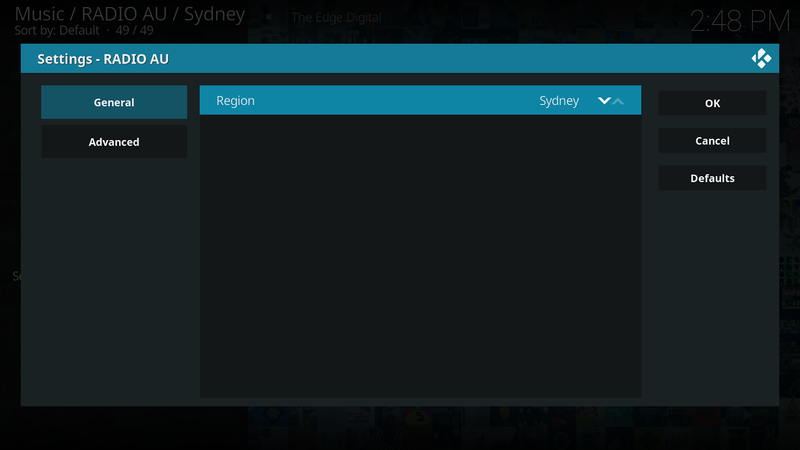 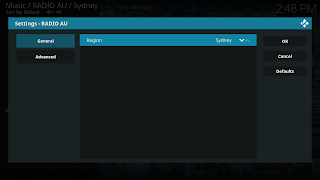 You can change the region via the add-on settings (default is Sydney).